For those unfamiliar with supermarkets in Spain, there are few these days that are good and most verge on repugnant (Mercadona.) One of the ones that has historically been the mecca of all bargain dwellers was Lidl although in recent years something happened and, if you look carefully, you can actually find quite tasty items hidden in the folds of their junk food, soda, and mass-produced bread. I speak mainly of their wine section in this regard. While typically full of bottles that aren’t fit to bathe a stray cat with, every so often they pull out some random wine that is of merit. How they came in to possession of said wine should probably go without mention, but for the crafty shopper, they are there to find. And this brings us to Domaine de Pignan from Châteauneuf-du-Pape for 12€. 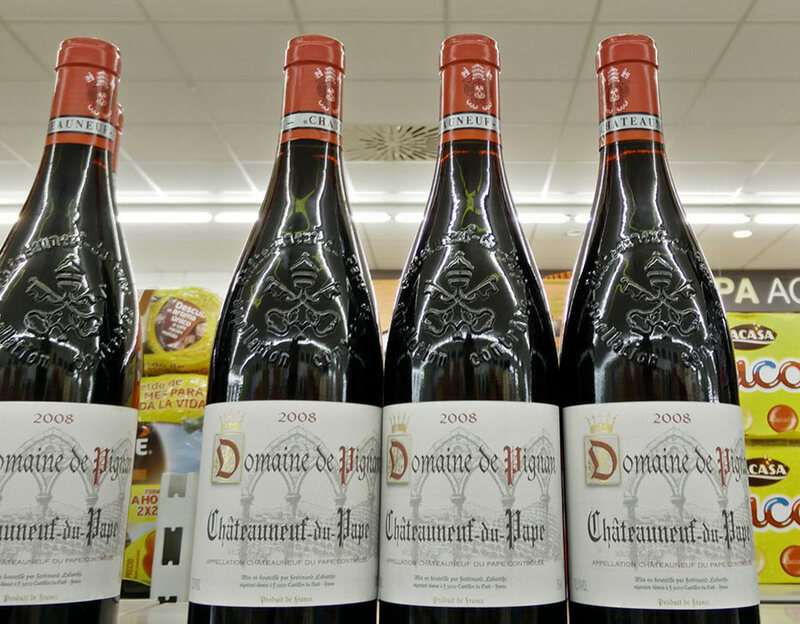 For those who haven’t followed the general upward trend of Châteauneuf wines/prices, good bottles typically start at about 20€ if not 30€ thus a wine for 12€ seems immediately suspect. Long story short, it’s a damned fine wine. Jancis Robinson even gave it 17 points a couple of years ago. In that review she stated that it would be prime to drink from 2014-2020. As we are here in 2015, I would have to say, well-called as the initial bottle I bought was great and indeed felt it could stand even a bit longer. Brisk red fruit, very much alive and vibrant, ruby/brown in color with only mild rim variation. Slightly oxidative and vegetal in the nose with a touch of chalkiness and pronounced freshly-cut rosemary. Even in the mouth, red fruit stays prevalent with cherry and young plum notes that carry in to the finish. Could easily stand another 2-3 years.